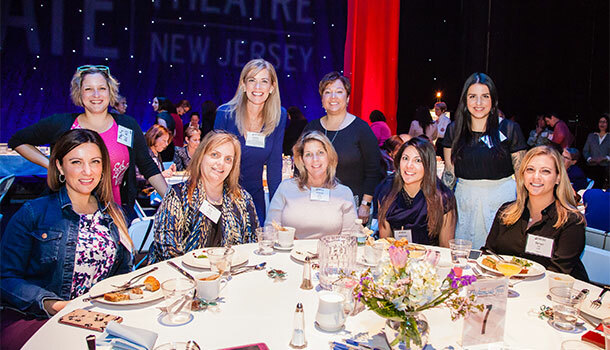 On March 14, 2018, corporate and community leaders and friends gathered at State Theatre New Jersey for a fundraiser to celebrate Women’s History Month that raised $20,000 to support our community arts access initiatives. We invite you to view a video and photos, and read more about the dynamic affair below. Over its nearly 100-year history, State Theatre has an incredible legacy of female artists who have appeared on our stage. 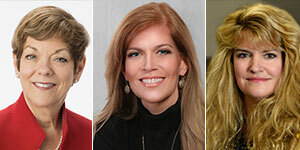 They have been leaders in driving positive change and, much like the 119 women and men who attended the 2nd Annual Women’s Tea, their impact has extended across their community to be broader than the title of artist—through their dedication to dozens of charities, public service, their families, and their commitment to excellence. 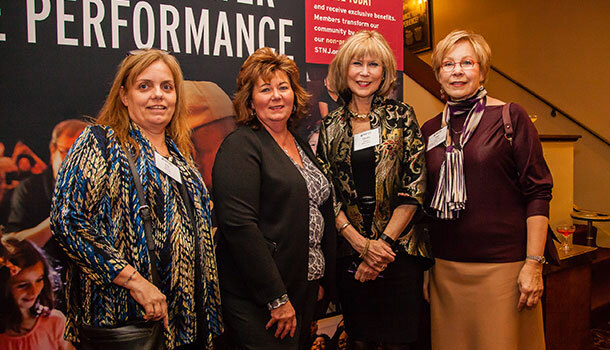 Each year, State Theatre gives back to the community $730,000 in free and heavily-subsidized admissions for mainstage and educational programs. 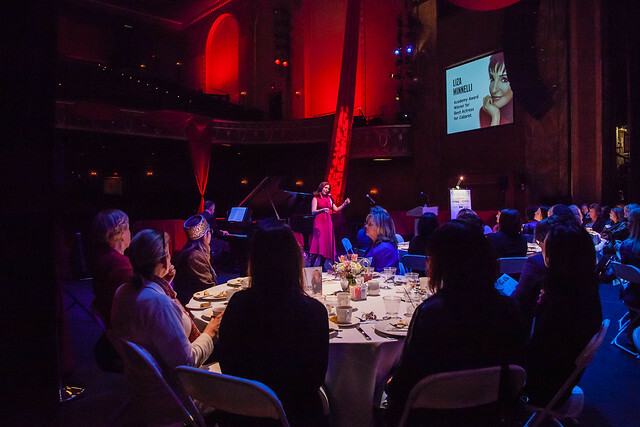 Support for special events, such as the Women’s Tea, helps create arts access for 60,000 underserved individuals every year—including students from low-income schools, veterans, children on the autism spectrum, seniors, charities, and local families. 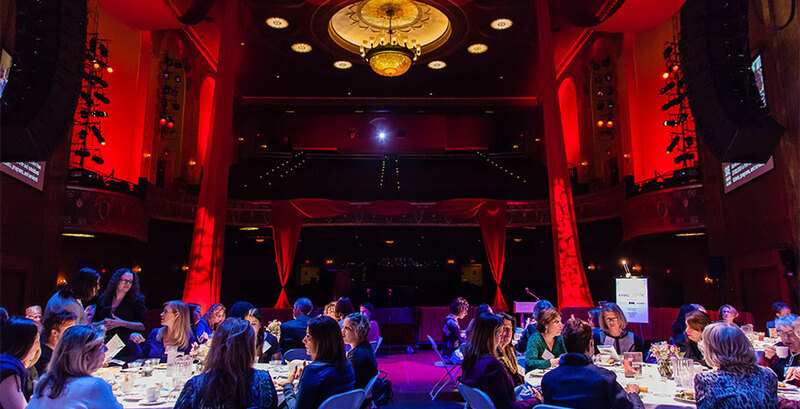 The 2nd Annual Women’s Tea featured a networking hour and mimosas followed by luncheon and entertainment on State Theatre’s mainstage, enabling attendees to gaze out at the beautiful historic theater, which was decorated with red drapery and stunning lighting. 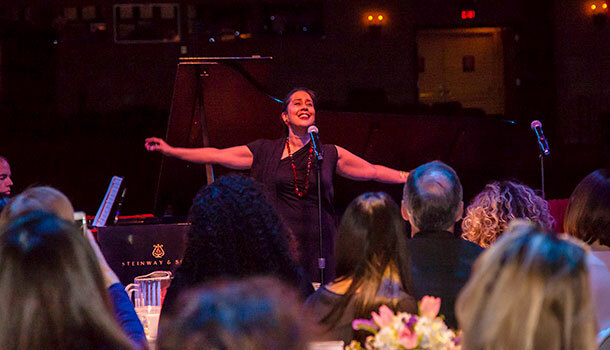 Guests were treated to a special performance by renowned Sopranos Monica Yunus and Camille Zamora, who wowed the audience by performing duets and solos that showcased their virtuosity and charm. Selections included the famous “Duo des Fleurs” from the Delibes opera Lakmé followed by “I Could Have Danced All Night” from My Fair Lady and other charming songs an animated selection from the Spanish Zarzuela tradition. We invite readers to enjoy the performance here. These two passionate arts access advocates happened to be Juilliard classmates of State Theatre New Jersey’s Senior Director of Development May Van Norman. They have since co-founded the non-profit Sing for Hope and become leaders in defining the role of artist as citizen. Monica, who grew up attending performances at the State Theatre, was interviewed for State Theatre’s All Access radio show. Following the recital, State Theatre Artist-in-Residence Glenis Redmond spoke about her work with community members, and then recited a powerful poem about Harriet Tubman. At one point, she said, “She stood” and stamped each of her feet on the stage with such power that we felt the floor vibrate. That moment represented the strength of women throughout the ages, a strength that we can still feel even today. 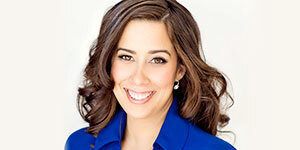 “It is about reframing the value proposition of the arts,” Zamora said. “This event, packed full of incredible influencers in this region, is an example of how there really is no ‘arts crisis.’ We are here together to talk about how we can leverage the power of this shared and treasured theater and the creativity that goes on here. It’s a very special thing to be able to have direct access to people’s hearts—that can move all kinds of business goals and key performance indicators.” You can hear the full panel conversation here. Guests were encouraged to attend Glenis’s poetry workshops on May 1, 8, and 15 in State Theatre’s second floor lobby. 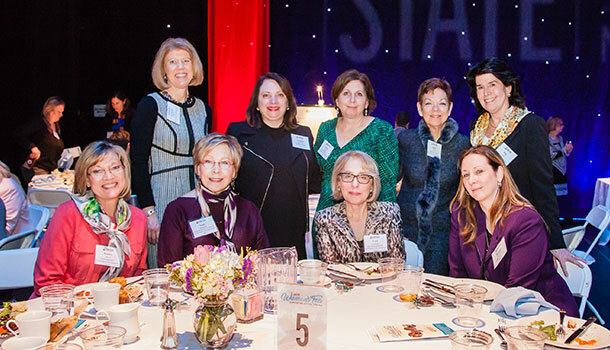 This annual Women’s Tea has become the not-to-be-missed event of State Theatre’s busy season. Look out for it again next spring! For more information about how you can play a role in supporting arts access initiatives year-round, click here to learn about membership. 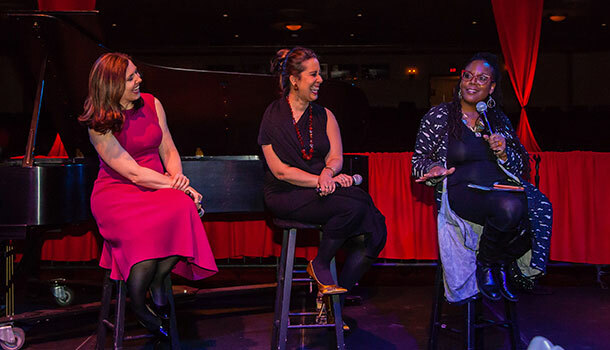 We also invite you to listen to a conversation with three members of the Women's Tea Committee—Wendy Wiebalk, Sally Glick, and Linda Wellbrock which aired on All Access with State Theatre New Jersey ahead of the event. A special thank you to our sponsors who helped make the Women’s Tea so successful! We also applaud Teaberry’s, the State Theatre Production team and IATSE, Miller’s Rentals, Roberts Florals, and Thomas Sweet.